Dear beloved of our Glorious Father who lives in Eternity, together in Oneness with our Lord Jesus Christ and the Holy Spirit, let us rejoice that our hope is steadfast and our salvation secure. For though we have not yet seen Him who is to come, we believe now and are saved, we shall see then and be changed. We are beginning a new series in what we shall call “The Gospel According to the Bride”. There are two underlying foundational principles in our study. The first principle is that: As Christ is, so also we must be. And the second principle is that the Bride has a corporate mind and thinks about everything from a corporate mindset, not an individual one. This being so, she will therefore, by the very nature of who she is, think differently to the way that we think as individuals. 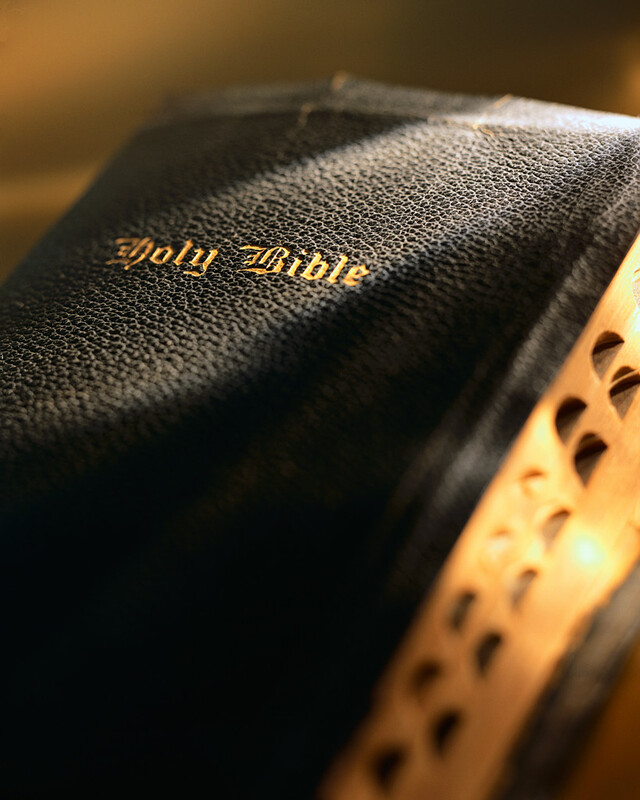 We are so conditioned to read and interpret the Bible from a singular mindset, and how the Gospel applies to us individually, but if we are to understand that the eternal purpose of God is for us to be included into Him, and this by being the Royal Bride for His Son the Bridegroom King, then it is of paramount importance that we change the way we think. That we think like the Bride! We are transformed by the renewing of our minds, yes, but to be transformed into the Bride requires that our minds be renewed or even reprogrammed with a bridal mindset or put another way we need to develop a bridal consciousness. To migrate away from having only a singular mindset, and to adopt the higher nature of our corporate bridal identity and begin to think like the Bride that we are. That means not thinking in the singular but thinking in the plural. Not seeing the interpretation and application of scripture to us only as individuals, but how it applies to us corporately. For it is written to us corporately. It is with this understanding of the corporate mind, that we shall look again at the essential Gospel message, this time not as individuals, but through the lens of the Bridal paradigm, and therefore this is the Gospel According to the Bride. Last time, I shared that for the Bride to get ready and prepare for her marriage with Jesus the Bridegroom King, she must participate in the same stages as He did whilst upon the earth. As His, so also we must be. I suggested last time, that the Bride must be baptised, and how strange a concept that is to our normal way of thinking. But over the next few sessions I’ll unpack that idea a lot more and see how baptism for the Bride is an absolute requirement for her. She must be baptised before she can do anything else. Indeed, we shall see that without baptism there is no Bride, for when the Bride is baptised, she is immersed into Christ, and unless she is fully in Him, she cannot come from Him, and therefore has no form of which to cleave back to Him as in a marriage relationship. Wow, that was deep but don’t worry we’ll come back to that thought later on. On discussing baptism, here is a key passage that we shall refer back to a few times. The word baptism is a transliteration from the Greek word “baptizō” and means to immerse, or to be submerged, to cleanse by being immersed. Though the root word “baptô” means to dip, the word “baptizō” is more than just being dipped as a one off momentary event, but is a continual dipping or immersion until the state of that which has been dipped has been changed. As is the case when Naaman was instructed by Elisha to “wash in the Jordan seven times” the Bible says in 2 Kings 5:14 “So he (Naaman) went down and dipped seven times in the Jordan, according to the saying of the man of God; and his flesh was restored like the flesh of a little child, and he was clean.“ The word dipped in this verse, in the Septuagint (the Greek translation of the Old Testament) is the word “baptizō”. When Paul says we have been baptised into Christ, he is saying that we have been dipped or immersed into Christ, so that we have fully entered into Christ, submerged, covered over even hidden in Christ. But then Paul develops the thought and says that by being baptised into Christ we are in the same way baptised or immersed into His death. By the process of baptism we are buried with Christ into death, so that just as Jesus was raised from the dead, so also we shall experience resurrection life. Notice here, that before life there is death, before the new man the old man must die. Paul writes that our old man was crucified with Him, and testifies this about himself in Gal 2:20 “I have been crucified with Christ, and I no longer live but Christ who lives in me”. What then of justification? That of acquittal from judgement and the accrediting of righteousness to our account? It is not the old man who is set free but the new man who has been given life. The old man and unregenerate mind will struggle with sin and guilt all their life, (although we could say that they are already dead), but the new man, the regenerate mind will not see Jesus crucified on the cross alone, but will see themselves there with Him being crucified also, by the Eternal Spirit we are able to identify ourselves with Christ in the act of His crucifixion, death and burial, I will explain this more next time, but here let us understand that Jesus didn’t just die for us, He died with us, so that in His death and in His burial the old man may be crucified and therefore the body of sin put away once and for all, because he who has died has been freed from sin, and guilt has been destroyed through death forever, hallelujah!. Upon Jesus’ resurrection, we too are raised into a new life, born again as a new Creation, where the old has gone and behold all things have become new. What a wonderful Saviour indeed, and a glorious salvation, not salvation of the old man, but the birthing of the new.